The Decision-making System for Rapeseed Optimization-Digital Cultivation Based on Simulation Models, DSRODCBSM, is a dynamic model that describes the growth and development of winter rapeseed. 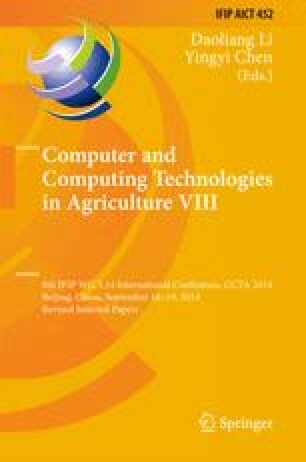 In order to perfect rapeseed growth models, Ningyou16 (NY16), Ningyou 18 (NY18), and Ningza 19 (NZ19) were adopted as materials, and the field experiments with 2 cultivars and 2 nitrogen levels, and pot experiment with 3 cultivars and 2 nitrogen levels were conducted during 2007-2008, 2008-2009, and 2011-2012 in Nanjing, respectively. The experimental results showed that the phenology and leaf number in rapeseed models had obvious difference for the same cultivars under different nitrogen levels. Thus, the nitrogen effect factor, F (N), was put forward, used in the phenology sub-model in rapeseed growth models, and the verification of the leaf number sub-model can be done through model parameter adjusting. The simulated values before and after using F (N) and the observed values were compared, and the precision for the phenology sub-models in rapeseed growth models were raised further.